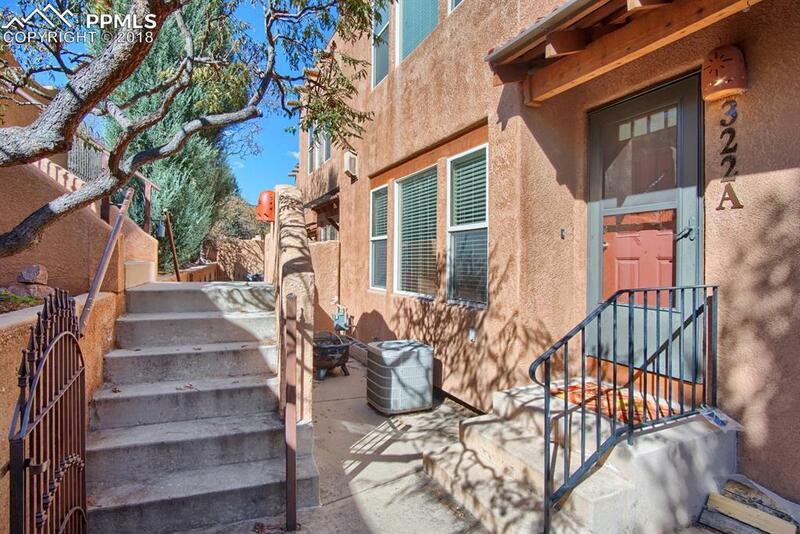 322 Santa Fe Place A, Manitou Springs, CO 80829 (#3852245) :: Fisk Team, RE/MAX Properties, Inc.
Live in charming popular Manitou Springs & enjoy mountain & city views from your balcony. 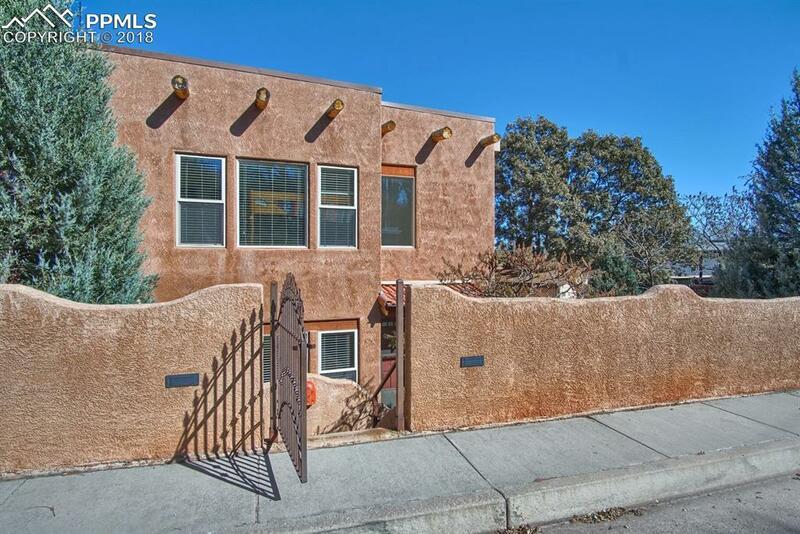 Wonderfully located, this two story 3 bedroom 3 bath home is a short walk to Manitou Avenue w/ grocery & boutique shops at your finger tips. Worry-free living w/ exterior maintenance, swimming pool. Huge (truly) 2-car attached garage offers tons of storage space. 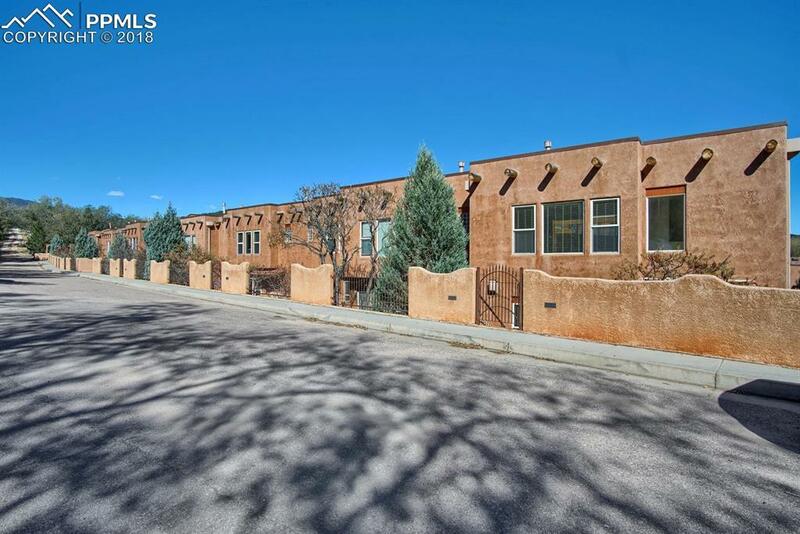 2 master suites on upper floor each w/ walk-in closet and private full bath. 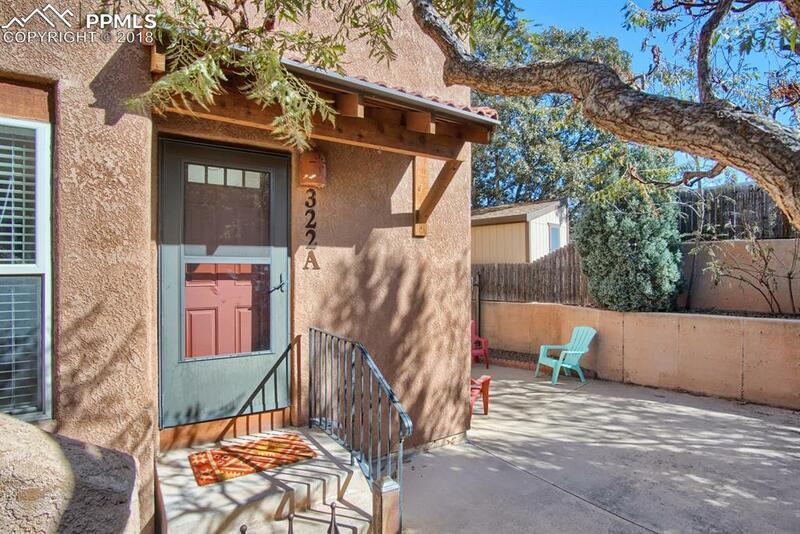 Additionally the 3rd bedroom & bath on the main is great for guests, crafts or home-office. Laundry on upper. Wonderful large outdoor patio for BBQ and relaxation plus composite deck off the kitchen with mountain and city views. Composition roof just checked and serviced by HOA. Brand new water heater. Furnace to be serviced and cleaned early November. When the city of Manitou Springs hosts events, you are just far enough away to avoid any congestion but close enough to stroll over and check out the activity. This one's got to be on your list! !